I "mustache" you if you have ever seen a more awesome Valentine's Day party!!! Everyone had a blast with our silly mustache-themed bash, including the iPad photo booth with props. Check out photo highlights from our event by watching the slideshow to the left! THANK YOU to all parent volunteers and donations from families that made our party fan-TACHE-tic! 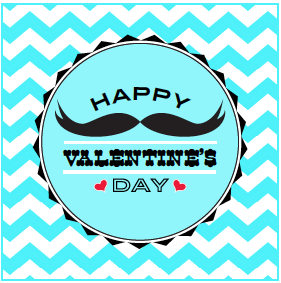 Will you please donate to our "fan-TACHE-tic" Valentine's Day Party? For this party, we're making it easy for you to contribute. Instead of asking parents to run around shopping for specific party items and bring/send them to school ahead of time, we're doing the shopping for you. If you can, we'd appreciate a $5.00 donation per student for the party to pay for food and supplies for this special event. IF you wish to donate MORE THAN $5.00, you are welcome to do so and we greatly appreciate it. This not only takes the work out of donating to the event, but costs significantly less than donating several items to the party. HOW DO YOU DONATE MONEY??? Instead of sending cash or a check to school with your child, you may "purchase" DONATIONS below (scroll down). Payment is automatically made through PayPal, so it is simple and completely SAFE. There is no risk of your child losing cash or a check on the way to school, and through PayPal, all payment information is confidential. If you wish to donate MORE THAN $5.00 to the party, simply indicate the QUANTITY of $5.00 donations you wish to purchase at checkout (i.e.- If you wish to donate $10.00, select 2 quantity, for $15.00 select 3 quantity, etc.). See sample image below. NOTE: If you do not have PayPal, setting up an account online is easy, secure, and free (www.paypal.com). If you do not wish to set up an account, or are not comfortable paying this way, but wish to still donate money, please send cash in a marked, sealed envelope to school. Thank you for being so "SWEET" and donating to our party fund. We hope this makes contributing to this festivity simple for you, and we KNOW it will result in a fantastic celebration for the students! 1) Click the BLUE "ADD to CART" button below. 2) Indicate the QUANTITY you wish to purchase (1 for $5.00, 2 for $10.00, etc.) before checking out. 3) Check out by clicking the PayPal button. If you don't have a PayPal account you will be able to create one at this point. VOLUNTEER for this Fan-TACHE-Tic Event! An email has been sent out for volunteers to "COMB" on over to our event by signing up online HERE. Volunteer spots are reserved to the first THREE parents who sign up online.